​In the Evidence for Evolution unit we look at look at how time and many generations change the genetic make-up of species as they become adapted to new surroundings or altered conditions. One result of these changes may be the evolution of new varieties and species. Propose a mechanism that explains the pattern found in vertebrate limb structure yet allows for the specialization of different limb functions. 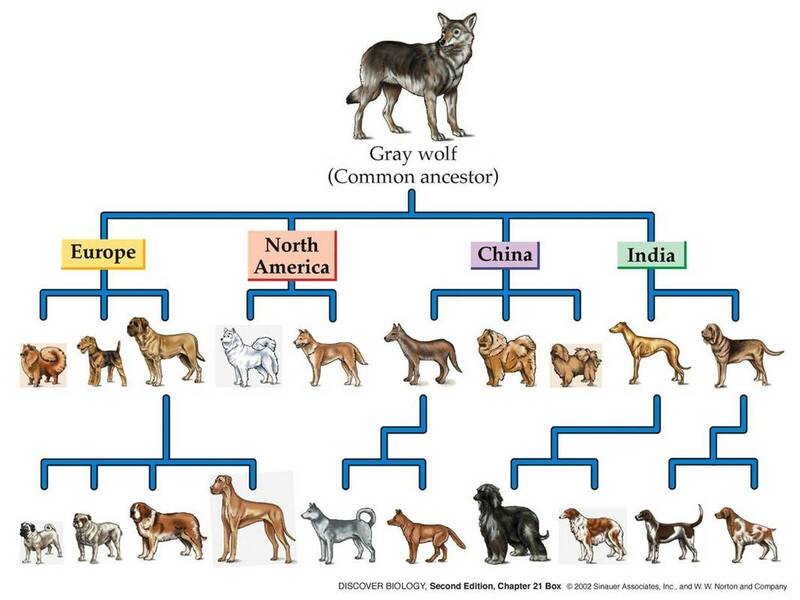 5.1.U1 ​Evolution occurs when heritable characteristics of a species change. (Oxford Biology Course Companion page 242). Evolution is the change in allelic frequency in a gene pool of a population over time, as a result of natural selection, genetic drift, gene flow, and mutation pressure. Explain three pieces of evidence that fossils provide that evolution has occurred. Something provides evidence for evolution when it demonstrates a change in characteristics from an ancestral form. 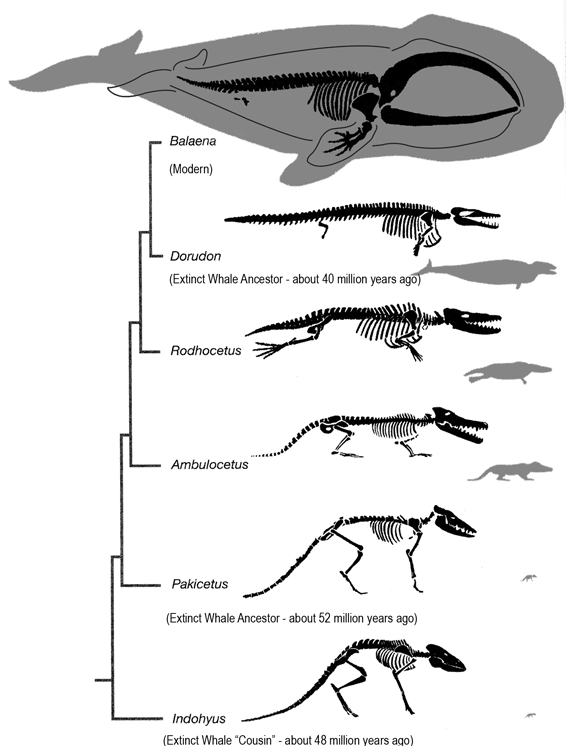 The fossil record provides evidence by revealing the features of an ancestor for comparison against living descendants. Fossils are the preserved remains of animals, plants, and other organisms from the past. The fossil record shows the gradual change of species over time. The timeline in which fossils appear are what scientists would expect, with bacteria and algae being the oldest in the fossil record. Followed later by shelled animals and trilobites, then dinosaurs and early reptiles, birds and mammals later still. Breeding plants and animals for specific genetic traits. Shows a good record of recent changes in genetic characteristics over a few dozens of generations that man has selected to breed. For example, chickens that produce more eggs or cows that produce more milk are selected to breed, hopefully passing these traits onto next generations. Plants can be bred in a similar manner based on useful or beneficial characteristics breeders would like to see in the next generation of plants. 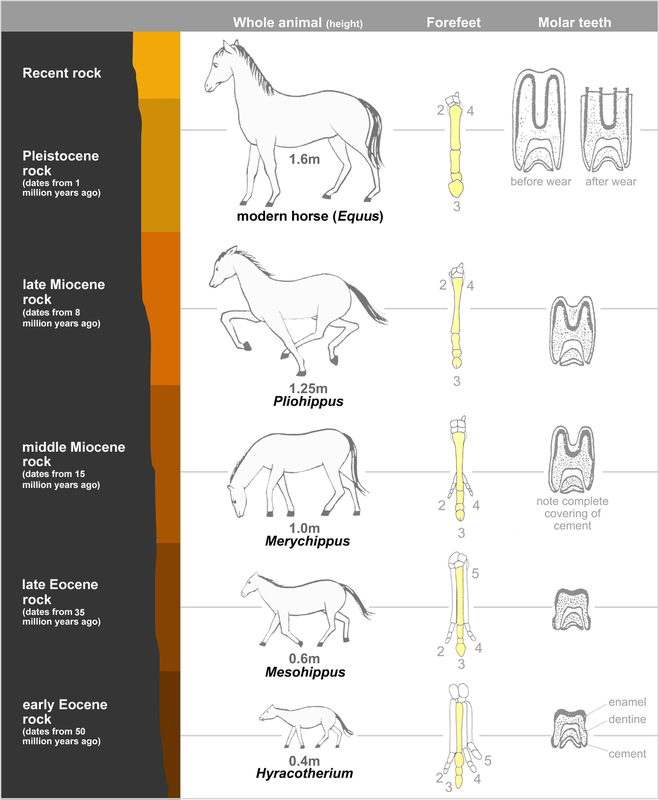 Comparative anatomy of groups of organisms may show certain structural features that are similar, implying common ancestry. Anatomical features that are similar in basic structure despite being used in different ways are called homologous structures. The more similar the homologous structures between two species are, the more closely related they are likely to be. 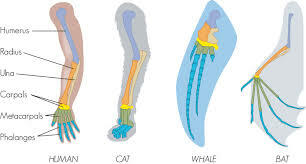 Homologous structures: vertebrate embryos and the pentadactyl limb. All species start out as single celled organisms. Many species develop into much larger, more complex organisms after conception. If we compare the embryos of animals as they develop, we often find they are much more similar than their fully developed counterparts. 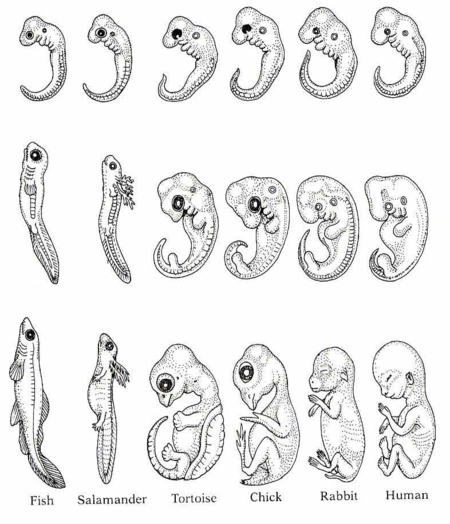 Many of the anatomical differences between species only arise during our embryonic development. Different species often start with the same basic tissues or structures but they develop differently and are re-purposed into different structures as the organism develops. The more closely two species are related the later in development these differences usually emerge. 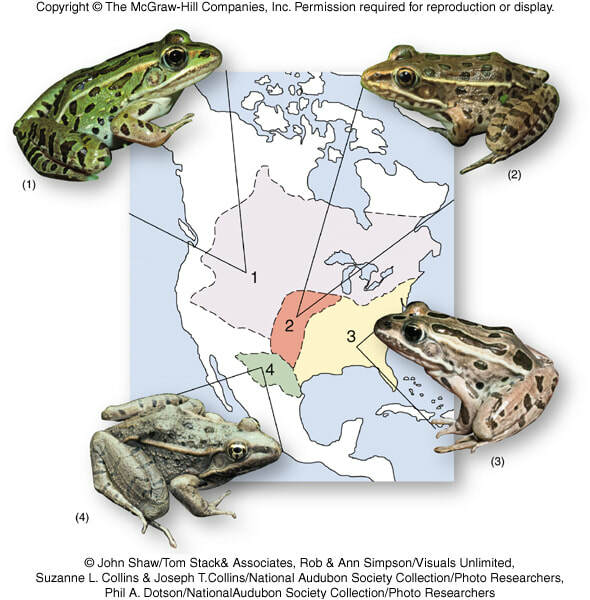 ​Biogeography is the study of species distributions. It examines how species have been distributed across different places at different times. The distribution of species shows a very clear pattern. 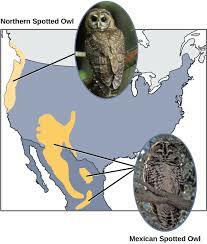 More similar species tend to be found closer to one another geographically. The distribution of many animals and plants across different continents can be explained by continental drift (the movement tectonic plates). The continents were once all joined together in one giant super-continent. 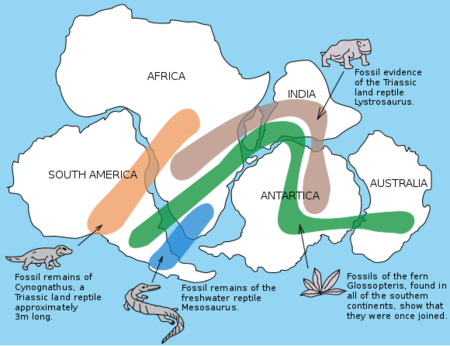 About 200-180 million years ago the southern half called Gondwanaland broke away. This would later split into what we now know as Antarctica, Africa, Australia, South America and India. Explain how natural selection leads to changes in the melanistic variety of insects in polluted areas. In pre-industrial revolution tree trunks in forests around major cities were light grayish-green due to presence of lichens. Most peppered moths in area are light colored with dark spots. 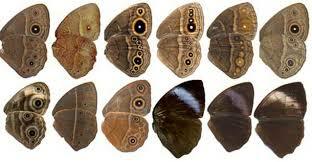 Prior to 1850, no dark (melanic) form of moth was ever collected. In post industrial revolution tree trunks in forests become dark due to covering with soot. (i.e. coal-based industries). After 1850, dark form of peppered moth were collected. Over the next 45 years, dark forms of moth became more common. Melanic form of moth accounts for 95% of peppered moth population around many industrial cities in England. The mottled form accounts for largest percentage of population in non-industrial areas. This evidence shows that both formes of the peppered moth existed in the population. Brds prey upon both forms of moth when resting on tree trunks. The increase of one form over the other form (e.g. dark over light) due to bird predation (i.e. selective pressure) is an example of natural selection. Increased prevalence of melanic form of peppered moth during the Industrial Revolution is an example of a directional selection following a change in environmental conditions. Scientific America article Origins of Life . Evolutionary history is an especially challenging area of science because experiments cannot be performed to establish past events or their causes. There are nonetheless scientific methods of establishing beyond reasonable doubt what happened in some cases. How do these methods compare to those used by historians to reconstruct the past? Brian Hare tells us the story of Dmitri Belyaev, a geneticist and clandestine Darwinian who lived in Stalinist Russia and studied the domestication of the silver fox. Though stickleback fish once lived in the ocean, some populations now thrive in freshwater environments. This change resulted in drastic physical transformations. Explore topics in gene expression and adaptation in this fascinating short film. ​Paul Andersen discusses scientific evidence of the origin of life on our planet. He begins with a brief discussion of the age of the earth and ends with the future of humanity. He includes geologic, chemical and molecular data. ​"What Darwin Never Knew" offers answers to riddles that Darwin couldn't explain. Breakthroughs in a brand-new science—nicknamed "evo devo"—are linking the enigmas of evolution to another of nature's great mysteries, the development of the embryo. NOVA takes viewers on a journey from the Galapagos Islands to the Arctic, and from the explosion of animal forms half a billion years ago to the research labs of today. Marcelo Gleiser is a world-renowned theoretical physicist and award-winning writer and educator. ​With a solid understanding of biology on the small scale under our belts, it's time for the long view - for the next twelve weeks, we'll be learning how the living things that we've studied interact with and influence each other and their environments. Life is powerful, and in order to understand how living systems work, you first have to understand how they originated, developed and diversified over the past 4.5 billion years of Earth's history. Hang on to your hats as Hank tells us the epic drama that is the history of life on Earth. In the 1950s, Belyaev and his team spent years breeding the silver fox (Vulpes vulpes) and selecting only those that showed the least fear of humans. Learn the process of selective breeding and see examples of the process on a farm. There is a dizzying diversity of species on our planet. From genetic evidence we know that all of those species evolved from a single ancient ancestor. But how does one species split in to many? 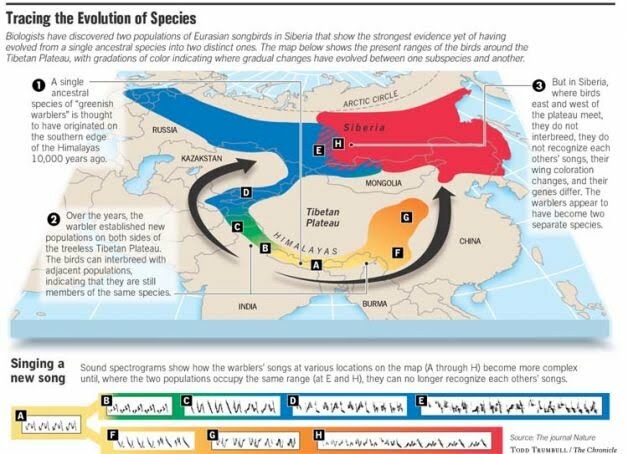 Through the evolutionary process of speciation — which begins when populations become isolated by changes in geography or by shifts in behavior so that they no longer interbreed.